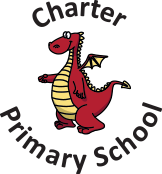 The school colours are burgundy and dark grey with a Ping the Dragon logo. Parents are asked to promote the wearing of sensible, comfortable school clothing. We do not accept any extremes of fashion or hairstyle. The school uniform with the embroidered logo is obtainable from Scholars. Children should not wear any jewellery to school which might endanger themselves and others. Children having pierced ears may wear a pair of stud type earrings, which should be removed for physical education and swimming lessons. Children must change into PE shoes; trainers may be worn for outside activities, bare feet or plimsolls for indoor work.